Europhiles who are skeptical about the ability of Napa Valley Cabernet Sauvignon to age gracefully are especially likely to assume that warm, early vintages can't possibly last. But on my early spring visit to Napa Valley, a major horizontal tasting of the 2004s demonstrated that that was not the case. Not only were very few wines showing signs of age, but the best examples are developing at a snail’s pace and will continue to improve with more time in the cellar. This event made it clear to me that a lot of fans of big California reds are drinking their bottles way too soon—a fact corroborated by my tasting of the 1994 California Cabs, and several vertical tastings of top reds. An extended heat wave in March triggered a very early budbreak, and April was also warmer than average. 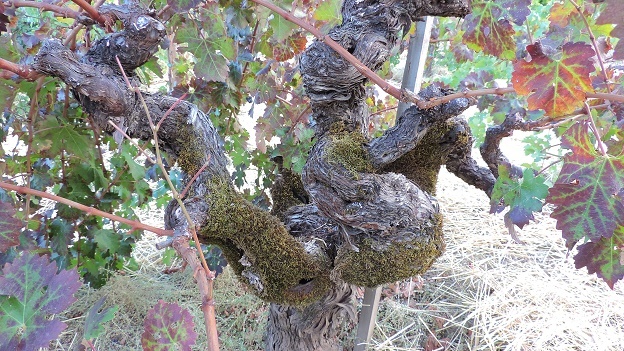 The flowering finished early, by mid-May, and while overall temperatures through late August were rather mild by California standards (July and most of August were actually cooler than average, which enabled the fruit to retain sound acidity), the summer witnessed a few brief heat spikes. Grapes went through veraison earlier than usual and sugar levels galloped ahead of phenolic maturity. A short burst of heat at the end of August was followed by a longer heat wave in early September, and the harvest took place very early—in fact, the earliest to date for many North Coast producers. Let me summarize my original report on the 2004 harvest and the style of wine it produced. Low crop levels and small, tight clusters resulted in concentrated and firmly structured Cabernets and Bordeaux blends in 2004. The wines are dense, fruit-driven and classically New World in style; but those made from grapes picked during or just after the extended heat wave during the first half of September can show a slightly roasted or liqueur-like character or, more frequently, rather pronounced and sometimes rustic tannins. Some wines show plenty of mid-palate richness but still finish tough or dry. These rather chunky wines may age well on their sheer density, but it still remains to be seen whether they will evolve gracefully. On the other hand, fruit that hung through the heat spikes in September and was picked later under more benign conditions can be outstanding and much better balanced. 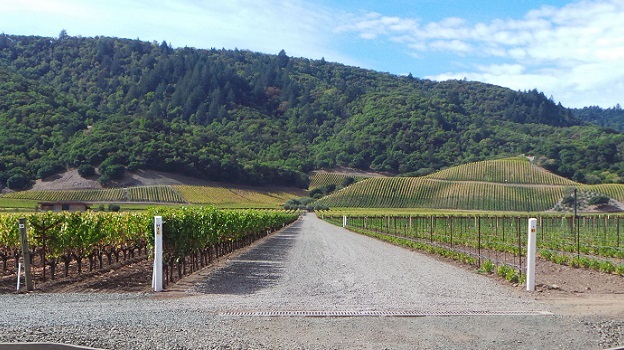 This vintage appears to be particularly strong for Cabernets grown at higher altitude, where the harvest normally occurs later and temperatures in September were less extreme. On the whole, 2004 is a very good vintage with surprising staying power for Cabernet Sauvignon and Cabernet blends on the North Coast. Two thousand four was actually the third consecutive vintage in which grape-growers had to deal with periods of intense heat and desiccating wind from the east during September. These conditions often sent grape sugars soaring through dehydration but did not necessarily bring concentration of flavor and ripe tannins to fruit that was not allowed to hang on the vines until conditions moderated. In some instances, vine shutdown and dehydration resulted in high acid levels as well. Merlot was generally less successful than Cabernet, as a higher percentage of this fruit had to be harvested during the September heat wave. Accordingly, many wineries that make Bordeaux blends cut back on the percentage of Merlot they normally use. Incidentally, it was the 2004 vintage that convinced some growers to install expensive misting machines in their hottest vineyards and many others to change their trellising systems to give their fruit more protection from direct sun. Nearly all of the wines I have written up for this article were provided by the wineries and tasted over a period of two days in Napa Valley in March; however, I also retasted some of these wines in New York in April, and pulled a few additional bottles from my own cellar. So, in theory at least, none of these bottles should ever have been exposed to harsh storage conditions. Although my tasting focused on Napa Valley, I also invited a few ringers from Knights Valley and Sonoma County. As I conducted several other vertical tastings of top Napa Cabernets during my March visit, I have included notes on their 2004s in this article as well.